Founded in the year 1992, Gupta Iron & Steel Co. is a foremost company betrothed in the realm of manufacturing a broad collection of Structural Items. 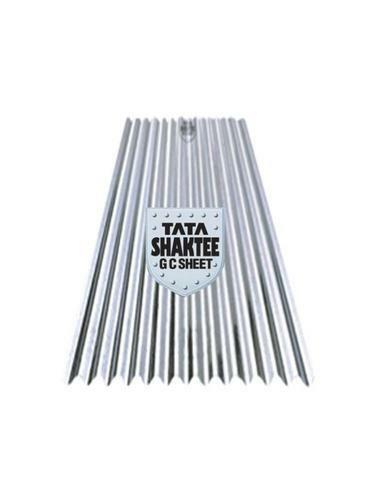 Our product range comprises of Iron & Steel Sheets, MS Structures, Slotted Angles & Channels. These offered products are designed and fabricated by skillful personnel using hi-tech machinery and supreme grade basic material. In tandem with the principles and standards laid down by the market, the entire assortment caters to light and heavy engineering industries in automobiles, fabrication and construction. To add, all our products are examined on different measures before finally dispatching them at the end of our clients. Owing to swift delivery schedules, easy payment modes, and overt business practices, we have been successful in earning huge client base. We understand the importance a team plays in the functioning of a business entity, thus we have selected a capable workforce that is from amid one of the illustrious personnel present in the industry. We have a well equipped infrastructural base equipped with advanced and latest technology machinery and equipment. All the machines and tools are managed by a team of experienced and skilled experts, which works in close coordination with each other for offering what a client looks for. Starting from the procurement of raw materials to the delivery of end products, all the production stages are inspected by experts. We make highly engineered products to save our customers time and money. We are committed to taking an active role towards society by providing clean safe and reliable products.